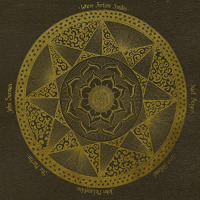 After two studio albums that fell into the category of special projectsthe large-casted but surprisingly cohesive Industrial Zen (Verve, 2005) and synth-laden Floating Point (Abstract Logix, 2008), where the iconic guitarist flipped his past concerns of playing eastern music with a western sensibility by recruiting a largely Indian group to play some very western fusionJohn McLaughlin finally rights a wrong with To The One. The Miles Davis alum and Mahavishnu Orchestra founder has been touring with an exciting group, The 4th Dimension, since 2007 (covered in AAJ's exclusive and in-depth, seven-part On the Road series), and while Official Pirate: The Best of the North American Tour 2007 was released by Abstract Logix the same yearand was a fine document of a successful tourit found the group largely reworking older McLaughlin material, albeit in new and inspired fashion. 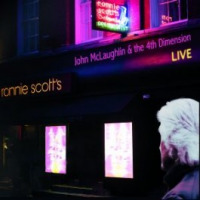 It's time for McLaughlin and The 4th Dimension to dig its collective teeth into some new material, and with To The One the guitarist takes a lifetime's spiritual search shared with and inspired by another icon, saxophonist John Coltrane, as inspiration for a set of six compositions more reverential in spirit than in letter. The ever-lithe, ever-visceral McLaughlin has always been capable of creating the guitar equivalent of Coltrane's "sheets of sound," and while there's no shortage of high octane playing heretruly McLaughlin's most exhilarating work and group since his Heart of Things band in the late 1990sa lyricism that's always been inherent, but has been creeping in more prominently in recent years, is now more prevalent than ever. Much of the music is, as might be expected, modal-based (though not without allegiance to changes). If keyboardist/occasional drummer Gary Husband was channeling Joe Zawinul on The 4th Dimension's 2007 North American tour, here he's definitely paying his respects to Coltrane's pianist, McCoy Tyner, albeit unequivocally subsumed within a voice that's been unfolding its distinctive personality over the past decade. 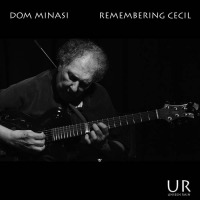 On the fierce opener, "Discovery," Husband delivers a fiery piano solo, later engaging in some spirited interaction with McLaughlin during a final salvo from the guitarist, supported only by Mark Mondesir's powerful drums and Husband's clangy jungle kit. 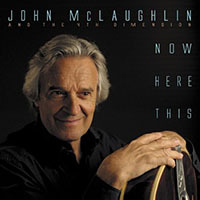 McLaughlin has paid tribute to Coltrane before, on After the Rain (Verve, 1995), but that album's homage was more direct, with a repertoire culled largely from the Coltrane songbookeven recruiting ex-Coltrane drummer Elvin Jones. 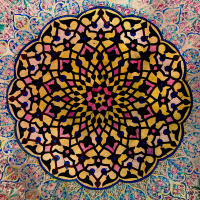 To the One's references are more individual, and consequently more passionate. 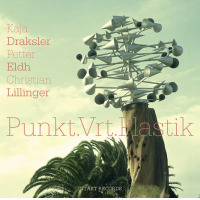 This may be music with fusion energy, but "Special Beings" proves that The 4th Dimension can also swing with conviction. The group's 2007 bassist, French phenom Hadrien Feraud, is gone from the group, replaced by Cameroonian bassist Etienne M'Bappéa more mature player who can pump 'em out fast and furious when required, but is equally possessed of a more relaxed sense of time when the music demands it. 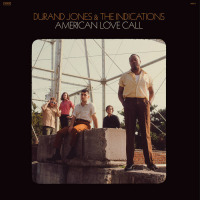 On the equally swinging "The Fine Line," he locks, tongue-and-groove, with Mondesir, the rhythm team slowly turning up the heat as the tune progresses from Husband's ambling electric piano solo to McLaughlin's overdriven feature, leading to a round-robin series of trade-offs between the guitarist and keyboardist. 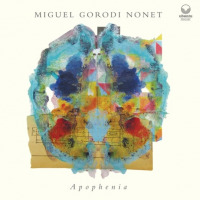 M'Bappé's fretless work drives the funkily balladic "Lost and Found," one of two tracks where McLaughlin switches to guitar synthesizer; but Husband's fourths-driven chords provide the link to Coltrane. 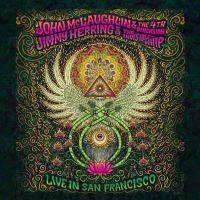 The closing title track again features McLaughlin's gentle synth, but on a track that not only simmers with hidden energy, but also possesses an arpeggio-driven middle section that, for Mahavishnu fans, references "Lila's Dance" from Visions of the Emerald Beyond (Columbia, 1975). 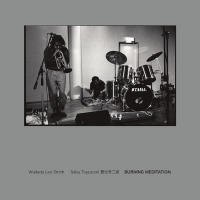 What's perhaps most surprising about "To The One" is that, with Husband playing both drums and keys (Mondesir sits this one out), its multi-tracked creation does nothing to dilute the spontaneity of everyone's playing. But it's To The One's penultimate track, "Recovery," that's demonstrative of The 4th Dimension at its best. Husband pulls double duty again, with Mondesir contributing some additional percussion. 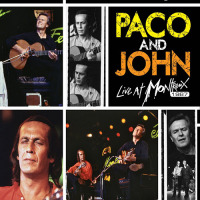 But the polyrhythmic potency and sheer energy that Husband demonstrates behind the kitand which lit a serious fire beneath another guitar great, Allan Holdsworth, at a 2009 performance in Gatineau, Canadafuels an impressive solo from M'Bappé that sets the bar for some exhilarating push and pull between Husband's synth and McLaughlin's gritty guitar. 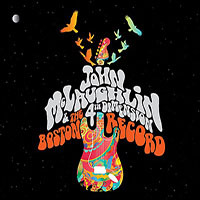 Truly, McLaughlin has rarely sounded better, and the same can be said for Husband, whose stamp is all over this record. The same can be said for the entire group. Time builds chemistry, and the group's longevityat this point in 2010, McLaughlin's longest-standing group in recent historyhas meant that the energy and excitement of getting to know one another (so definitive of its 2007 tour), has been replaced by a far deeper empathy. 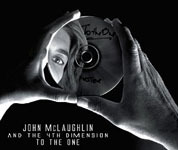 To The One is, quite simply, McLaughlin's best album in well over a decade, and if the energy of The 4th Dimension's playing here is mirrored and expanded in its pending North American tour in the fall, fans are going to be in for one serious treat.